It was a Monday morning like any other. Deepak kissed baby Sagar on the forehead before heading out for work. He went about his day, washing cars. By afternoon he received a frantic call from his wife, Ashmita. “He’s not breathing! His eyes and mouth are wide open but he can’t breathe. Please come soon!” she cried. 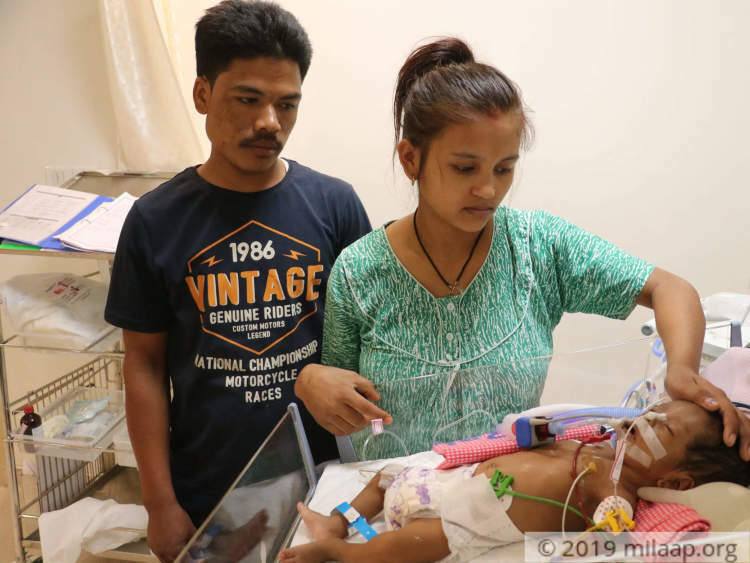 This mundane Monday 7 days ago took a tragic turn – their 1-month-old baby was soon admitted to the ICU. Almost 8 months ago, Deepak and Ashmita went to Bangalore in search of a better life. They had found out about her pregnancy and knew that it was time for them to leave their small village in Nepal. Deepak got a job as a watchman in an apartment building in Bangalore. He then started washing cars for a living. It hasn’t been easy for them, but they were doing better - at least they weren’t going to bed hungry and they could save money for their baby’s birth. 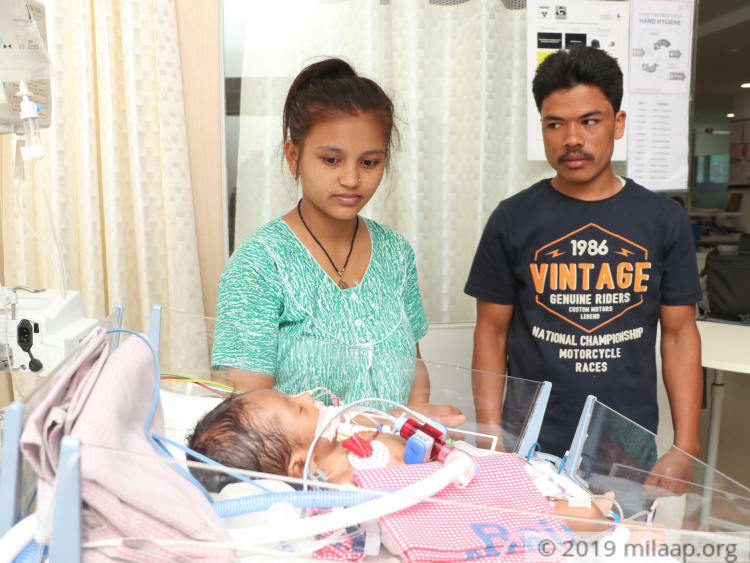 Baby Sagar was born healthy, however, Deepak and Ashmita had only each other to celebrate with. Their families were miles away. The first-time parents were overwhelmed, but happy. The first two weeks was a mixed bag of emotions – sleepless nights, hours of crying, and little moments of joy. It all seemed too good to be true. And it was. 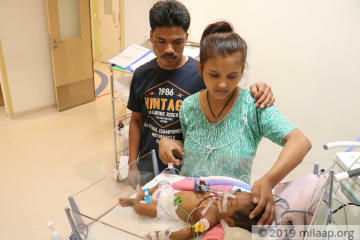 Just a few days after he turned 1-month-old old, baby Sagar fell terribly sick and struggled to breathe. The little one has severe pneumonia and respiratory failure. 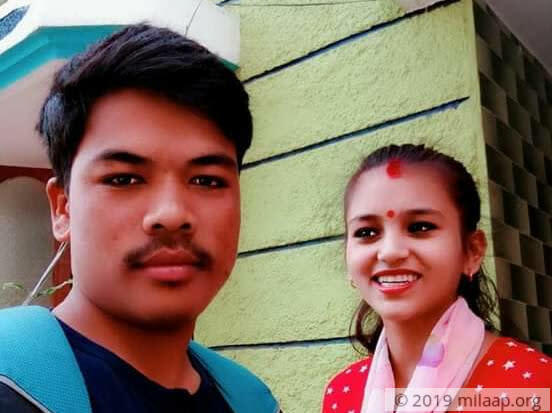 Deepak and Ashmita are alone and helpless. 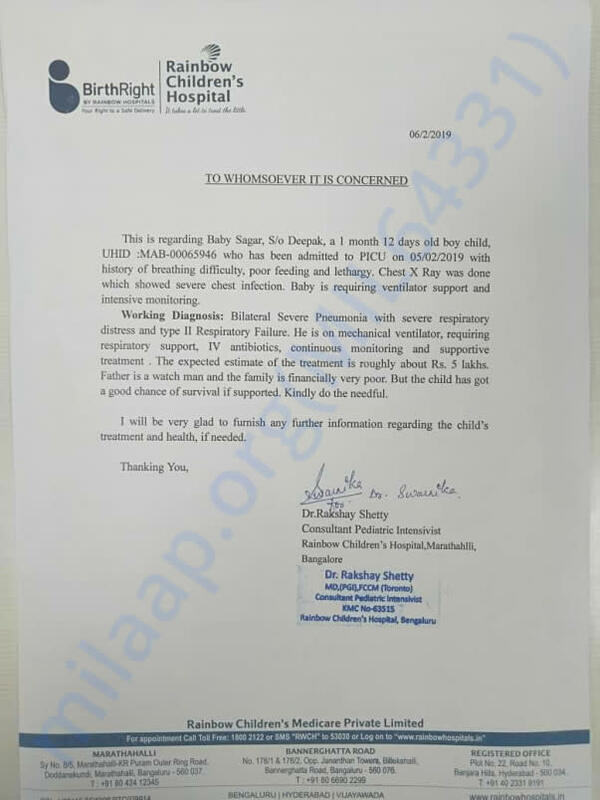 Baby Sagar has been in the ICU on ventilator support for 7 days now. He needs to stay in the ICU for longer to recover from this dangerous disease. Without the ventilator support, he won’t make it. 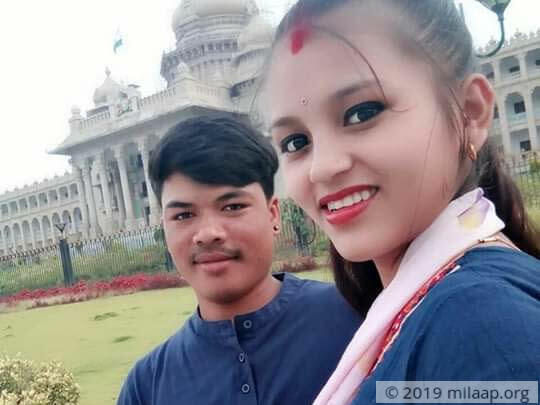 Deepak and Ashmita have no one to help them in these difficult times. Deepak has borrowed and spent nearly Rs. 80,000 in this one week. He just can’t afford the 5 lakhs needed on his salary of Rs. 300 per day. The new parents need your help to save their only child. Baby Sagar can go back home in the arms of his parents with your help. He needs to stay in the ICU for longer to survive pneumonia. You can help save him.